Adam C. Dover LLC is a residential construction company focused on design and new home construction, serving the Atlanta area. With 20+ years of experience in all areas of residential construction, we offer a level of service to equal the high quality of our work. We also excel in remodeling and restoration of homes. We renovate kitchens, bathrooms, and living areas, as well as any exterior feature of a home. We also design and build home additions and customized entertainment space. Bring us your plans or just your ideas – we can take it from there. We’ll work with you to fulfill your dream, even helping with product selection if you choose. You will be amazed at the meticulous work detail and you will experience what it truly means to work with a customer-oriented construction company. Our work ethic is not only to achieve the highest level of customer satisfaction, but also have our clients comfortable in the process. By doing so we have a well-established client base and have been able to survive and grow in this economy through client referrals alone. Thanks to you all - it would not be possible without you. CRES Builders would love to be part of the team to build your dream. CRES Builders will lead our successful team in constructing your: Custom Home, Remodeling Your Existing Home, Presale Home Updates, Investor Rehabs, and Post Sale Remodeling. 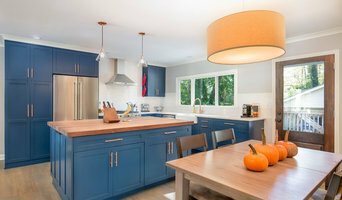 We have completed several ground up home builds, basement/ kitchen / bathroom remodels, deck installations, concrete flat work, roof replacements, interior stair remodels, window and siding replacement, roof and gutter installations, under deck ceiling systems, tile installations, hardwood floor refinishing and landscaping remodels. Mirko Attolini (owner) brings 17 years of residential building experience into the various steps of your construction project. Mirko will review your project with you, assist with the design phase, pull the necessary permits, create a realistic schedule and budget, work with you and our vendors to preorder items, create a hand written schedule, manage his subcontractor team, be available during the construction process, introduce you to our team members, complete the project and then be readily available for you during the warranty process. Mirko believes that the way people are treated during the entire process is as important as the end result. Mirko will treat your project as if he was building it for himself. We look forward working with you on your future construction project. Thank you for your interest in CRES Builders; where Building Your Dream is our Priority. Creating Space is a General Contractor specializing in Finished Basements. Having completed more than 550 basements over the years gives us the experience and knowledge to create a finished basement that doesn't look like a basement. We want your basement to look like an extension of your home. We offer the best quality and standards at a competitive and honest price. Our client's satisfaction is our number one priority and we believe that communication is key. Our vast experience in finishing basements means we can offer suggestions and alternatives that others may not. We will help to make sure that your finished basement is everything you want it to be and more. We are a full service general contractor with a team of the best sub contractors in the business. We have a custom cabinet maker who will help to ensure that your custom bar, or built-in cabinets are everything you could hope for. Based in Roswell, Georgia, Owner Todd DiFiore is a Licensed Residential General Contractor specializing in finished basements since 1998. Todd and his team have the knowledge and skills to transform your basement into the space of your dreams. BAC is dedicated to providing top quality, custom work for our customers. We are a design build company that offers comprehensive services in new construction & renovations. Our work in renovations is all about helping our clients love where they live by transforming kitchens, baths, basements, and whole homes. We apply our focus on custom quality work to new construction as well, where we help clients build what they love -- with relationship based solutions for each client and a commitment to a job done right. Keiffer Phillips-Patricia Brown Builders, Inc. - Custom Home Builder with a unique perspective - because men & women see things differently. As a husband and wife Building Team, we work to make sure that your vision for building is translated accurately and becomes a reality. We have a very Simple Philosophy: We do what we say we are going to do! Give us a call today to discuss your next building project. Hello Atlanta! Spring has sprung. Time to build your dream home! Your home should be as unique as you are. At BBI Design, we can bring your visions and dreams to life. Whether it is an "Urban Farmhouse" or a "Tudor revival" we have the knowledge, skills and craftspersons to successfully build your dream. We offer comprehensive design consultation that begins at the home site and continues all the way through to the finishes. BBI Design also brings the dream of a new custom crafted home in a client preferred location to reality by bringing the experience and knowledge of the whole process together. When the "where" is just as important as the "what", we offer a comprehensive service that brings together a team of experts to help you find a desired property, assess feasibility and design to the site and clients dreams. You can find more information at <a rel="nofollow" target="_blank" href="https://www.teardownandbuild.com">https://www.teardownandbuild.com</a>. 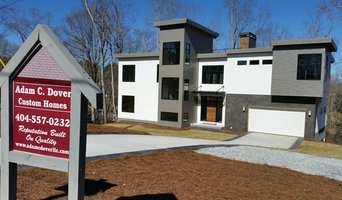 New Rosslyn Construction is a custom home and remodeling company owned by David Sinclair serving North Georgia and Atlanta. Whether you’re undergoing home renovations or building from scratch, hiring the right home builder is essential. Your choice will determine the quality of craftsmanship, as well as how high your stress levels rise! A home design or building project is a huge and multifaceted undertaking, so it’s important to find a local Suwanee, GA builder you can trust to bring your vision to life and keep the process under control. The Houzz professional directory of home builders is a great starting point to choose the right builder for your needs. What exactly do Suwanee, GA home builders do? Before any nails are hammered down, construction companies perform market research to determine whether the prospective site for a new home in Suwanee, GA makes sense. They also survey the land to make sure it is suitable for construction, and obtain any necessary Georgia permits. Scroll through this page to find contractors in Suwanee, GA. Then, click on a professional to browse photos of their latest projects and see how their work compares to the scope of your project. Read reviews to see how other homeowners rate their work, and message the home builder or construction company directly to ask any specific questions.